Leicestershire County Council - Children & Families Performance Dashboard Quarter 3 2015-16 Appendix A.
Leicestershire County Council - Children & Families Performance Report Quarter 3 2015-16. Leicestershire County Council - Safer Communities Performance Report Quarter 3 2015-16 Appendix 2. Leicestershire County Council - Safer Communities Performance Report Quarter 3 2015-16 Appendix 1. Leicestershire County Council - Safer Communities Performance Report Quarter 3 2015-16. Leicestershire County Council - Environment & Transport Performance Report Quarter 2 2015-16 Appendix A.
Leicestershire County Council - Environment & Transport Performance Report Q2 2015-16. 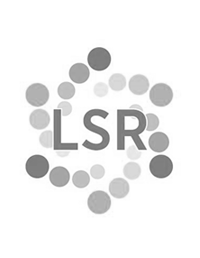 Leicestershire County Council - Health Performance Report Quarter 2 2015-16 Appendix A-C.
Leicestershire County Council - Health Performance Report Quarter 2 2015-16. Leicestershire County Council - Children & Families Performance Dashboard Quarter 2 2015-16 Appendix B.
Leicestershire County Council - Children & Families Performance Dashboard Q2 2015-16 Appendix A.
Leicestershire County Council - Safer Communities Performance Report Quarter 2 2015-16 Appendix 1. Leicestershire County Council - Safer Communities Performance Report Quarter 2 2015-16. Leicestershire County Council - Annual Performance Report 2015-Dashboards. Leicestershire County Council - Annual Performance Report 2015. 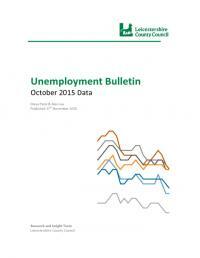 Office For National Statistics (ONS) published the Mid-2013 Population Estimates by Ward on 23rd October 2014. Revised population estimates for the period Mid 2002-2012 are available on the ONS website. Office For National Statistics (ONS) published the Mid-2013 Population Estimates by LSOA on 23rd October 2014. Revised population estimates for the period Mid 2002-2010 are available on the ONS website. Reports from the Director of Public Health. Leicestershire County Council - Children & Families-School Performance in Key Stage Tests and Exams summer 2015 inc Appendix 1. The Office for National Statistics (ONS) produces annual estimates of the resident population of England and Wales as at 30 June every year. The estimates are broken down by local authority, gender and age. The 2014 population estimates were released on 25th June 2015. The Business Register and Employment Survey (BRES) data is released annually by the Office for National statistics, via the NOMIS website. Users have to apply for a notice in order to access the original data. Figures are suppressed and rounded before they are published. Leicestershire County Council - Safer Communities Performance Report Quarter 1 2015-16 Appendix 1. Leicestershire County Council - Safer Communities Performance Report Quarter 1 2015-16. Leicestershire County Council - Health & Wellbeing Performance Dashboard Quarter 1 2015/16 - Appendix 1. 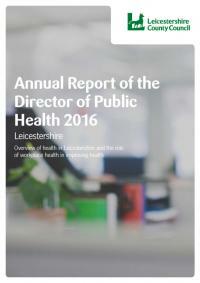 Leicestershire County Council - Health & Wellbeing Performance Report Quarter 1 2015/16. Leicestershire County Council - Children & Families Performance Dashboard Quarter 1 2015/16 - Appendix A & B.